Published on Monday, 22 May 2017. Landlords and tenants are being warned that London Corporate Apartments Ltd (LCA) has been expelled from The Property Ombudsman (TPO) scheme for failing to pay an award following a rental deposit dispute. 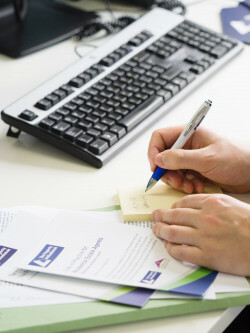 Client Money Protection: Is your letting agent covered? Published on Monday, 15 May 2017. Published on Tuesday, 18 April 2017. Letting agents across the country will soon be required to protect rental monies through an approved Client Money Protection (CMP) scheme, following the recommendations made in a new Government report. Published on Friday, 31 March 2017. The Law Commission has published a new report following a two-year investigation into the potential abuse of called “event fees” or “transfer fees” in retirement properties. 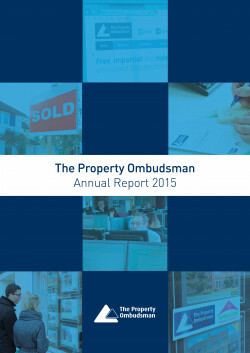 The Property Ombudsman (TPO) scheme contributed to the report, which reviews the actions of agents and makes a series of recommendations. Published on Thursday, 30 March 2017. Read the latest news from the Housing Minister and TPO's national letting fees campaign, which will be targeting two new locations over the coming weeks. This edition also highlights CTSI's national campaign to help more consumers find reputable firms and an interview with TPO's DSC Chair to highlight how her role is helping the scheme raise standards in the industry. Published on Monday, 27 March 2017. Published on Tuesday, 21 March 2017. Published on Wednesday, 15 February 2017. The Minister for Government and Housing and Property Ombudsman will be joining a host of top industry names at next month's Propertymark Scotland Conference - have you reserved your place? Published on Monday, 09 January 2017. The Property Ombudsman (TPO) has created a Deputy Ombudsman role and reorganised the way it reviews complaints to ensure agents and consumers receive an improved service and faster outcomes through new dedicated teams and technology. Published on Wednesday, 21 December 2016. This festive edition includes an important announcement about TPO's new Agent Portal that will transform the way we review the complaints and communicate with member agents. May we take this opportunity to wish you and your families a very merry Christmas and a happy New Year from everyone at The Property Ombudsman scheme. Published on Tuesday, 06 December 2016. Property Ombudsman praises the TPO member agents for scooping 71 awards at the coveted Estate Agent of the Year Awards 2016. Published on Tuesday, 01 November 2016. The Property Ombudsman (TPO) scheme has issued new guidance concerning obtaining express consent from a tenant before accessing a property. Published on Monday, 24 October 2016. 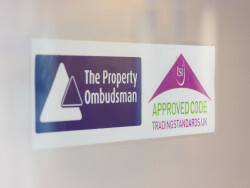 The Property Ombudsman Scheme (TPO) has launched a new national campaign with the Chartered Trading Standards Institute (CTSI) to tackle lettings agents that are breaking the law by not displaying their fees. Published on Tuesday, 04 October 2016. The Property Ombudsman (TPO) scheme has today released its latest annual report revealing an increase in the number of consumers contacting the scheme for help. 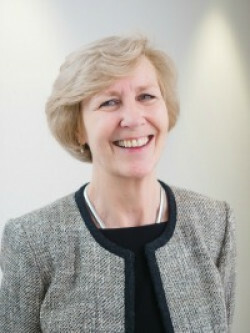 In the Ombudsman’s first annual report following her appointment last year, Katrine Sporle provides an overview of 2015, which includes statistical highlights on the top issues reported by consumers, the percentage of cases supported and membership growth figures, along with several varied consumer case studies. Published on Friday, 30 September 2016. 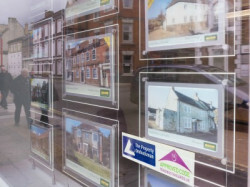 Four separate estate and letting agents have been expelled from membership of The Property Ombudsman (TPO) and from registration for lettings redress for two or more years, after failing to pay awards made by the Ombudsman or to comply with parts of the TPO Code of Practice for Residential Letting Agents. Published on Monday, 26 September 2016. On 1st October, The Property Ombudsman (TPO) scheme will issue updated versions of all its Codes of Practice in order to address emerging industry issues; primarily the manipulation of internet portals, coined ‘portal juggling’. Published on Thursday, 25 August 2016. 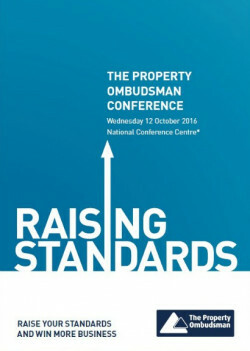 The Property Ombudsman (TPO) scheme is delighted to announce that BBC Radio 4 Presenter, Winifred Robinson, will be joining its national Conference on 12th October 2016 as a consumer panellist. TPO Conference: Tickets go live! Published on Wednesday, 17 August 2016. Early Bird offer launches with discounted tickets for October’s national Conference. Speakers confirmed! TPO's Conference programme is revealed. Tim Wakelin will once again compere the event and under his expert stewardship, we will start the day with a welcome and introduction from Gerry Fitzjohn, TPO’s Chairman of the Board. TPO backs new toolkit to tackle rogue agents. The Property Ombudsman scheme (TPO) has lent its full support to a new initiative to help Local Authorities take action against rogue letting agents who fail to comply with the law. For press and media enquiries please contact The Inhouse Way.